Me mam has been pretty good at ferreting out hidden restaurants lately, thanks to her bunch of foodie colleagues. 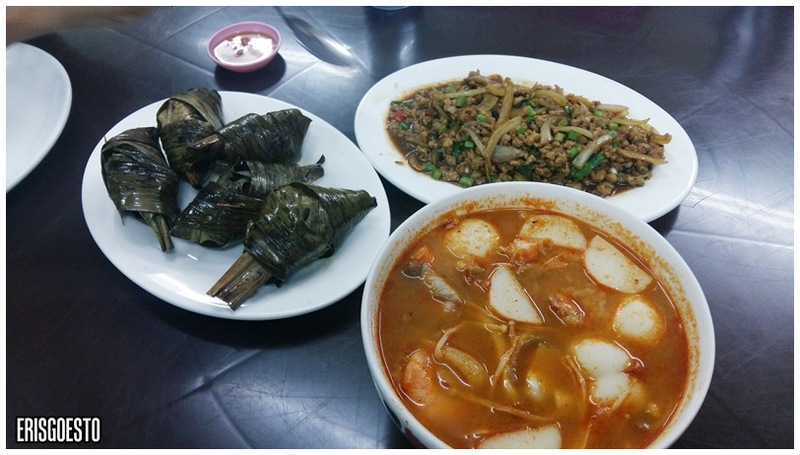 Last weekend, it was an authentic Thai restaurant called Krua Thai, hidden in a quiet back alley of Pusat Bandar Puchong. The place is run by Thai staff, but the lady bosses speak fluent Mandarin. 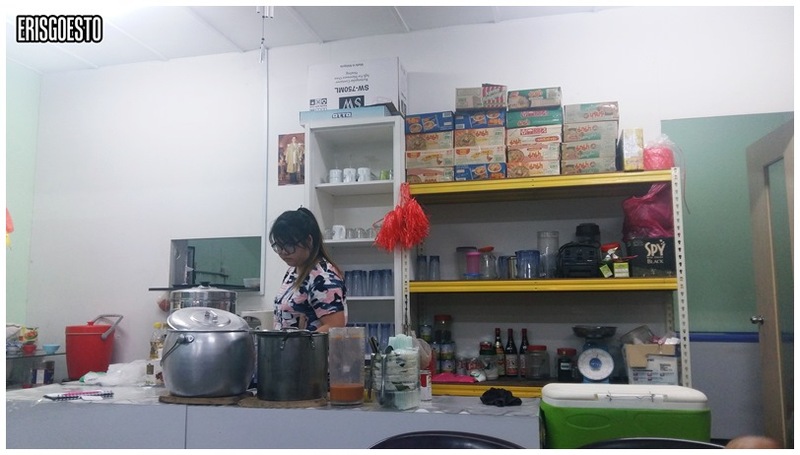 Dining is no frills, almost canteen-style, with an open counter where they make drinks, a row of shelves displaying Thai groceries and snacks, and a small stall upfront where they toss somtam (Thai green papaya salad). 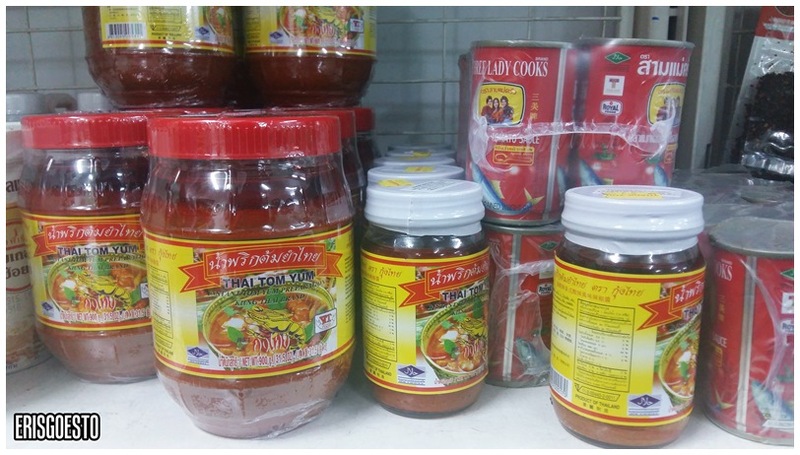 Sauces, condiments, snacks and instant noodles imported from Thailand. 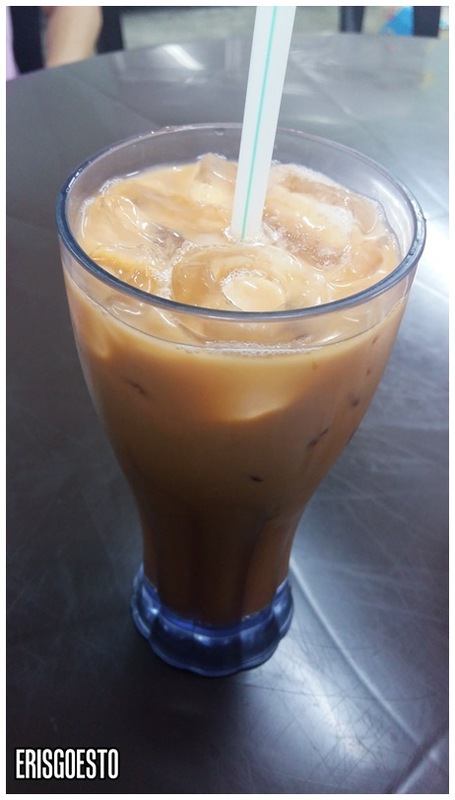 I almost never go to a Thai restaurant without ordering my favourite Thai milk tea. The version here is frothy but not too sweet, with hints of spice from the orange blossom water and star anise. Our orders came so quickly (less than 10 mins?) we were all stunned. My guess is they prepped most of their items and it’s just a matter of cooking them in a soup/adding the sauce/deep frying. 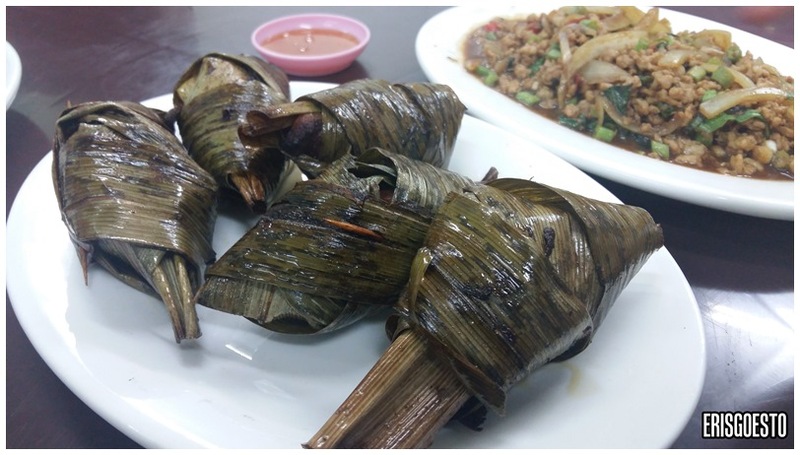 Had Pandan chicken (chicken wrapped in pandan leaves and deep fried), basil pork, and seafood tomyum. The chicken was tender and juicy, albeit a little oily. The pork basil was a bit of a hit and miss as the sauce seemed watery and lacked flavour. It was super spicy though thanks to the birds eye chillies. 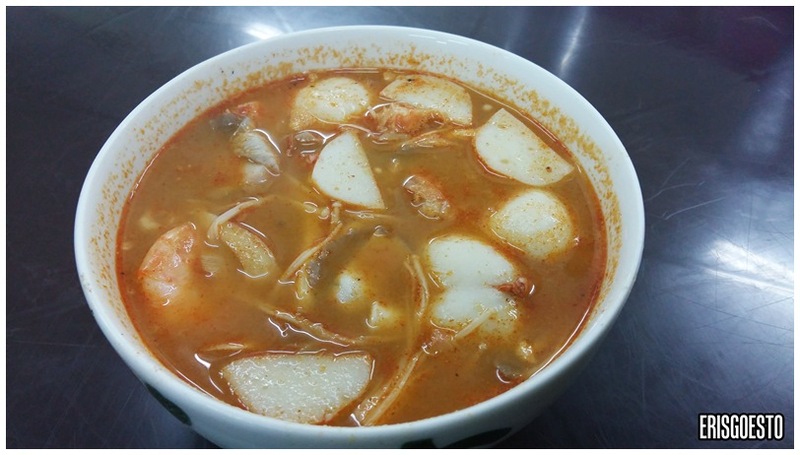 Seafood tomyum soup was everything it was supposed to be – sour to whet the appetite, and increasingly spicy with every spoonful. It came chock full of ingredients including largish shrimps, fishcakes and oyster mushrooms. One can easily polish off bowls of rice with this. 2 out of 3 is pretty decent in my opinion, and the service is fast and friendly.